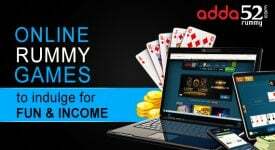 Anticipation of online rummy players has started rising with adda52 rummy rolling out Rummy Millionaire tournament with a fabulous prize pool of Rs 10,00,000. The excitement is palpable. Naturally yes, as bonanza awaits them on March 30. Their excitement levels are steadily going up like soaring mercury levels as summer has set in across India this month. March also will see frenetic activity as the race for electing the 17th Lok Sabha will get under way and cricket carnival—IPL-2019—will also kick start on March 23 in this cricket-crazy country. 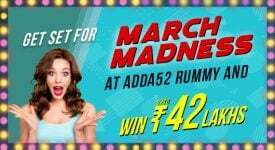 Amidst the humdrum of the elections and cricket, rummy players will be silently logging into adda52 rummy and battling out for the bumper offer. With rummy online being an individualistic game, the players will not draw crowds like cricketers and politicians. But the thrill and excitement of rummy players will experience be par excellence. Only rummy players know the excitement, happiness and thrill they enjoy as they play games on adda52 rummy. As politicians fan out seeking votes and cricketers battle out on 22-yard strip, rummy online players will be locked in intense and nail-biting battles either on computers or smart phones with the best in the country. Their hearts will be pounding and those seated next them could even hear that and excitement will be visible only on the face. You will realize that they were playing when they say hooray after their victory. There reactions are natural like any sportsperson. Why not? Are they not justified? Their first love—Rummy—is offering big money and they have got a chance to conquer and walk away with honors. How do you make it to grand gala 13-card event at 1200 noon on March 30. 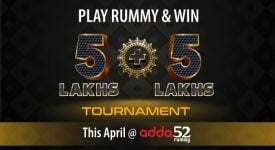 It is simple and adda52 rummy wants huge number of players to take a shot at the title in the tournament. It has given many opportunities for rummy online players to vie for the big prize pool. First, win a daily satellite being played at 1200 noon, 230 PM, 430 PM and 730 PM with a buy-in of just Rs 100. Then join daily qualifiers at 10 pm. Those not finding time to play satellites can join with a buy-in of Rs 500. The player can directly compete in the finals with buy-in of Rs 5,000.Also, one can earn daily qualifier slot with deposit of Rs 10,000 or more. For enterprising players, this would be best way to be in the finals. 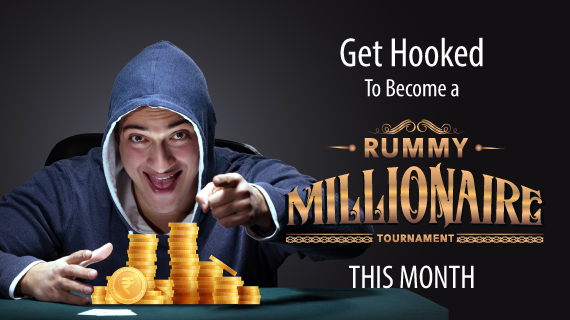 Generate 1,00,000 loyalty points in a week and win a free buy-in ticket to Rummy Millionaire Finale. All that player needs to do is to play more tournaments accumulate loyalty points and gain experience for the biggest prize-money event—Millionaire Tournament on popular and reliable adda52 rummy. Prize pool is real cash and the payment will be as usual on secured payment gateways. Company will always adhere to rules and regulations. Players indulging in unfair game play to qualify would be shown the door. Mobile verification is required for registration in the tournament. 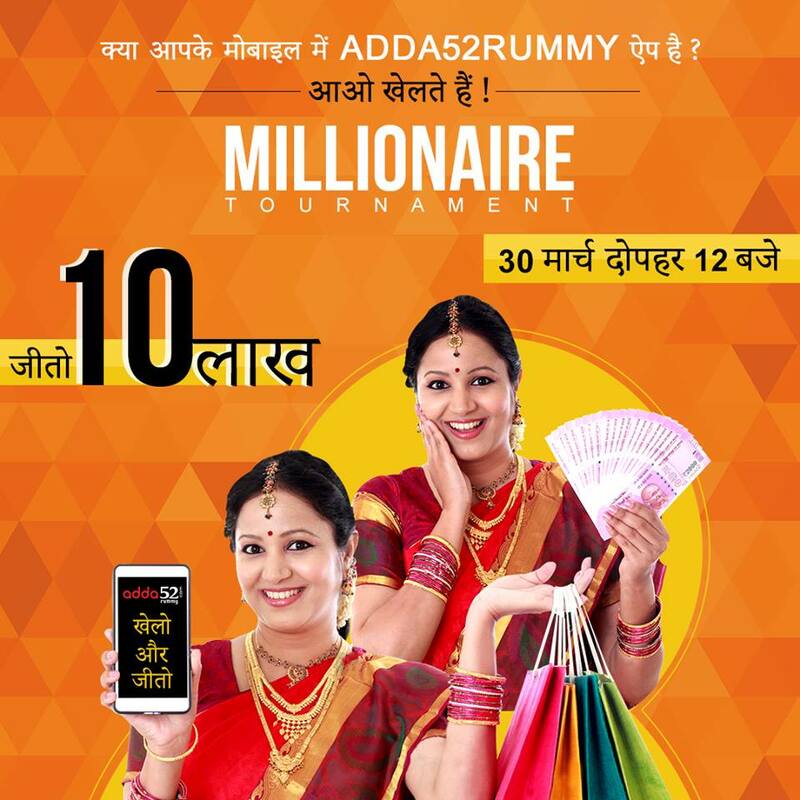 Millionaire Tournament will be a block-buster event on adda52 rummy. Be an early bird for the tournament. Practice makes a person perfect. Work hard, compete in more tournaments and win will be yours.